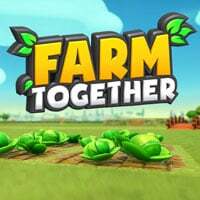 Farm Together is a simple farming simulator developed by independent Milkstone Studios – the creators of such titles as the warmly-received Ziggurat, the White Noise series, and Pharaonic. Farm Together features the third-person perspective. During gameplay, you assume the role of a beginner farmer. Even though you start with a small field and limited funds, the objective is to transform the farm into a huge and thriving business. To do so, you need not only to harvest, but also take care of animals, and invest in infrastructure. The money you make can be spent on constructing new buildings, buying new farming machines (which require fuel), decorating, and putting up fences – all of this just to outshine neighbouring farms. Even though Farm Together can be played solo, nothing stops you from enjoying the multiplayer. The authors offer the tools with which you can define what other players can or cannot do on your farm. Of course, inviting farmers that you already know is the safest option. However, this also works the other way round – you can visit other farms and help your friends with their work. Farm Together features colourful, 3D visuals in a cartoon style. What is noteworthy, the time flies regardless of your actions, so you can be sure that there is always something to do once you return to the game after some time.